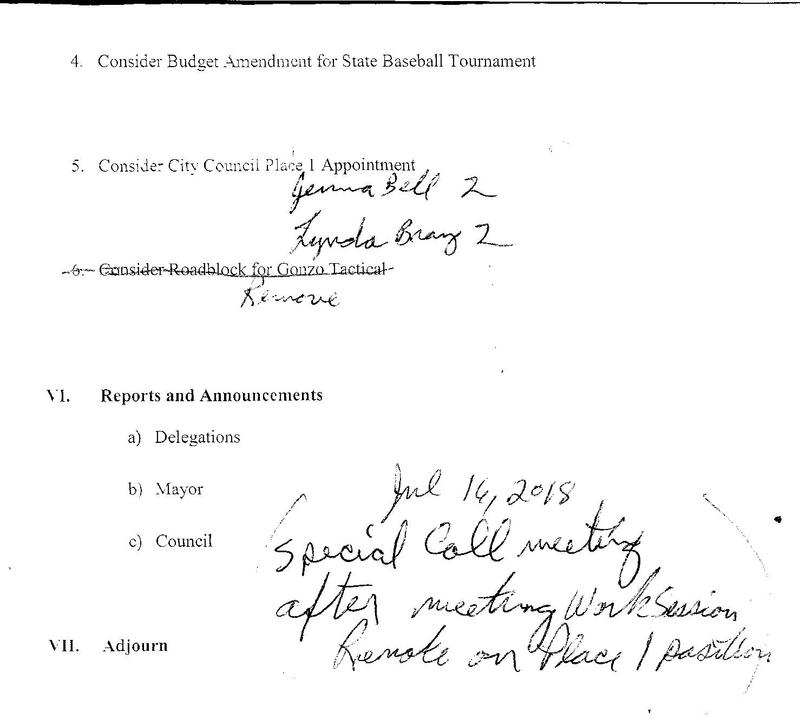 1) $32,000 expenditure for bull dozier repair, check cancelled as not budgeted and no approval from city council. Unfortunately there is much more to this crisis than meets the "public eye." Possible bid law violations is just the tip of the puzzle. 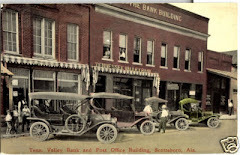 I have been having conversations with past Mayors of Scottsboro prior to Mayor Shelton, 16 years, about serious shortcomings in the City of Scottsboro's Personnel Management system, this includes presentations to the City Council. 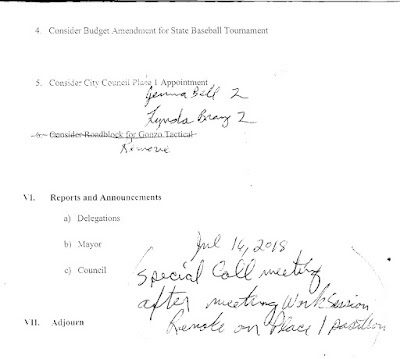 The City Council is just as at fault as Mayors past and present regarding this issue. 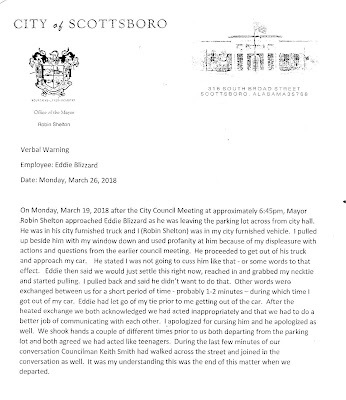 In this case, as well as the Blizzard issue, it appears there may be an intentional undermining of the Chain of Command at the City of Scottsboro. Instead of working together as a team to manage the City of Scottsboro, professionally, intelligently, and facilitating the principles of leadership and stewardship, there is intentional conflict and undermining of processes. If you are a politician in the City of Scottsboro either act professional, do the peoples business, be a leader, work to resolve problems as a team, OR RESIGN. If you are an employee, politically appointed (Which is another problem, unresolved, several of the positions should be classified not appointed.) or classified (hired) follow the rules of the City, quit scheming, or you should expect to be terminated if you are not going to be a team player. The situation regarding Mr. Blizzard is part of the problem. CITY COUNCIL AND MAYOR - recommendations were made several years ago regarding needed improvements to the Scottsboro Personnel Management System, you have ignored those recommendations. 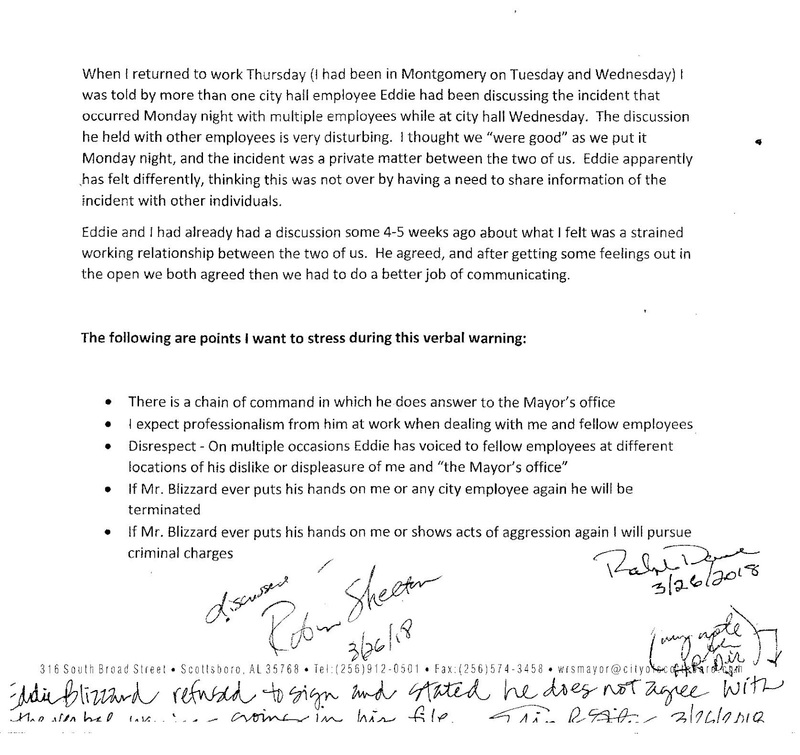 The situation involved the Scottsboro Police Department, Mr. Smith as the Police Chief, Mayor Deason and the alleged improper termination of an employee. 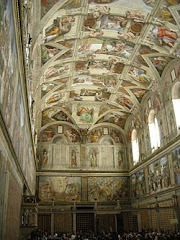 A Personnel Management Specialist was hired and gave a report of needed improvements. Instead of making improvements y'all have proceeded on a course of unprofessional conduct which does not have the best interests of the citizens of the City of Scottsboro as first and foremost in your agendas. 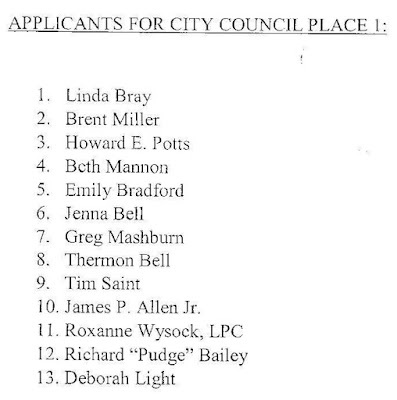 STOP WITH THE PERSONAL EGOTISTICAL VENDETTAS AGAINST PEOPLE WHO ARE PART OF THE CITY STRUCTURE OF SCOTTSBORO! CITY COUNCIL MEMBERS AND MAYOR, YOU ARE RESPONSIBLE. Is it too much to ask for professional conduct on the part of elected leadership?? Stop working against each other. 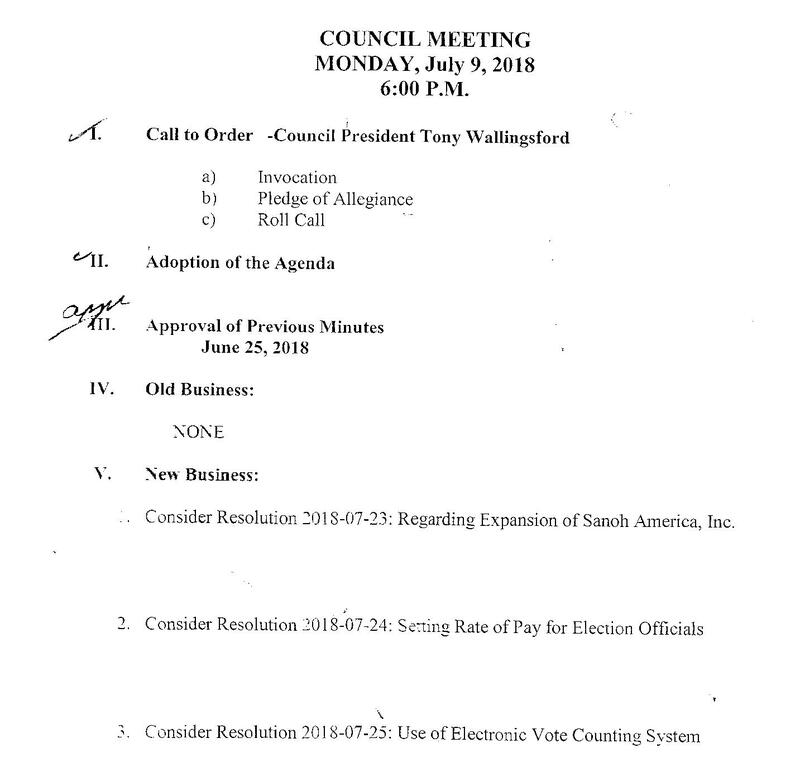 The Council President, Mr. Tony Wallingsford, Mayor Robin Shelton, and the City Attorney are to meet this week to discuss the issue of inappropriate expenditures. 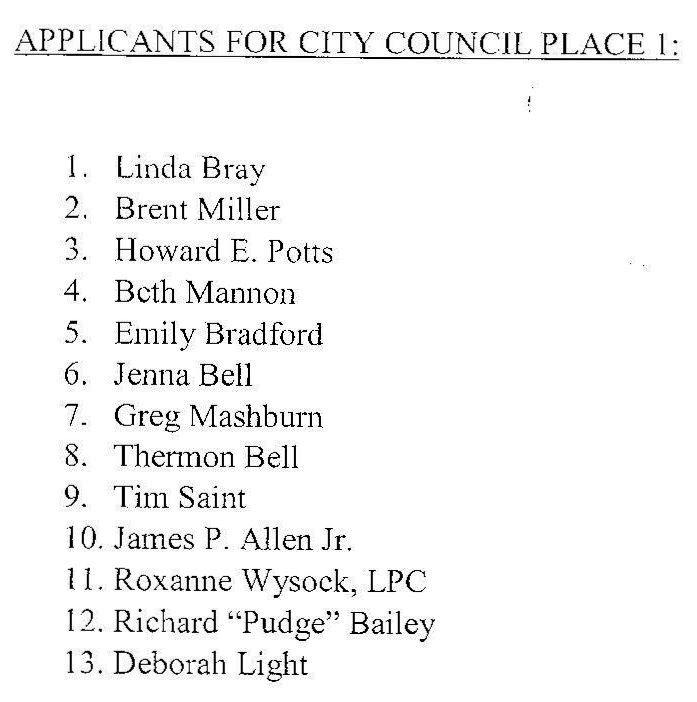 Vote on the Scottsboro City Council for Place 1, vacated when Mrs. Jessica Butler resigned. 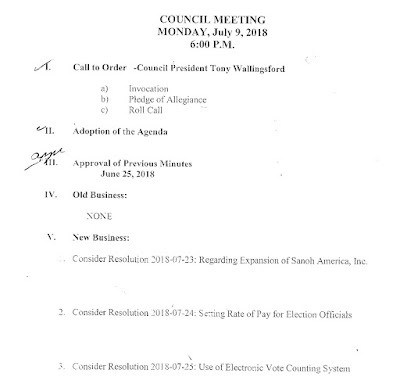 A Special Call Meeting to be announced for a second vote on July 16, 2018 after the regular scheduled work session meeting. 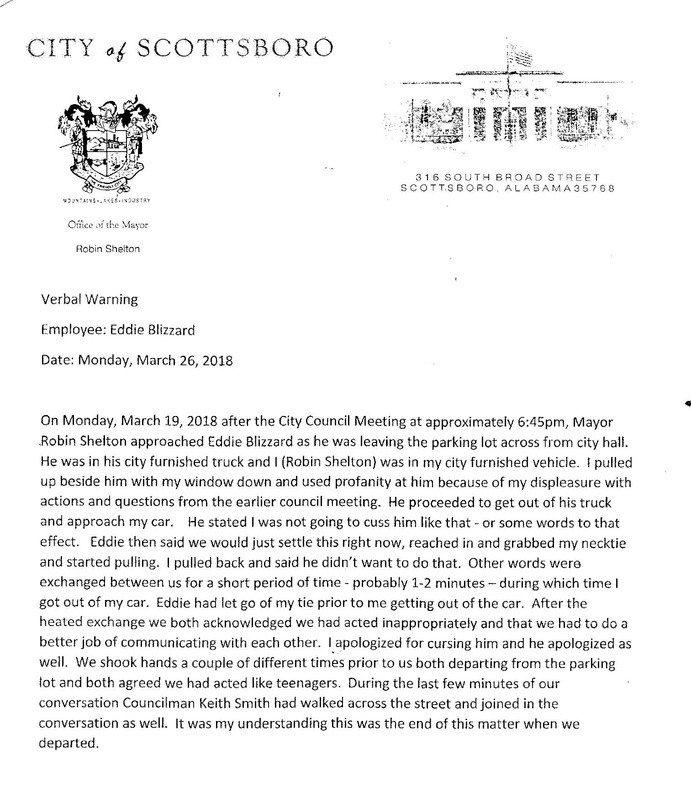 Records request regarding documented Verbal Warning given to Mr. Eddie Blizzard by Mayor Robin Shelton. 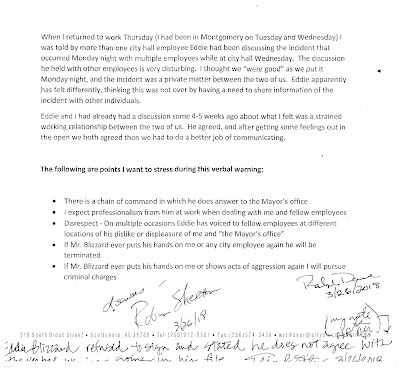 There are two items in this document which stand out: 1) Provoking comments documented, quote - Mayor stated - "I apologized for cursing him," 2) and an assault upon the Mayor by a Department Head, Quote from Mayor: "Blizzard said then we will just settle this right now, reached in and grabbed my necktie and started pulling." Mr. Blizzard refused to sign the warning. H.R. Director Erin Stiles signed, Police Chief Ralph Dawe signed and the Mayor signed. UPDATE July 2, 2018 : Mr. Blizzard was asked if he wanted to provide a comment regarding this issue or his current status, he stated: "No comment."